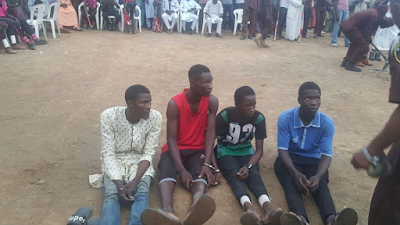 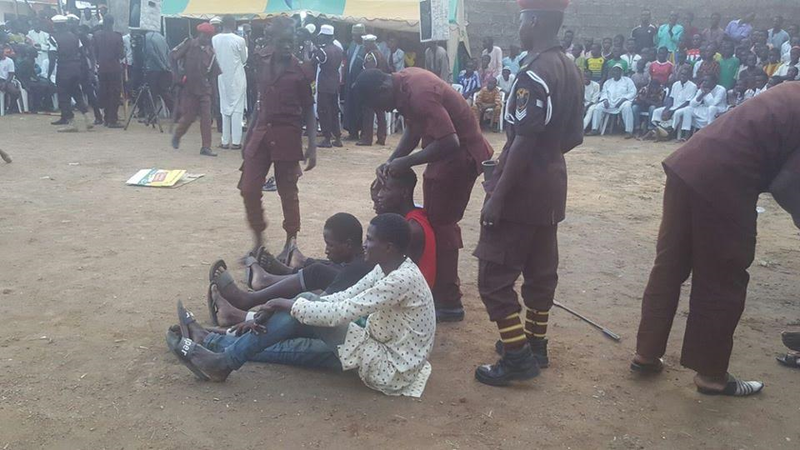 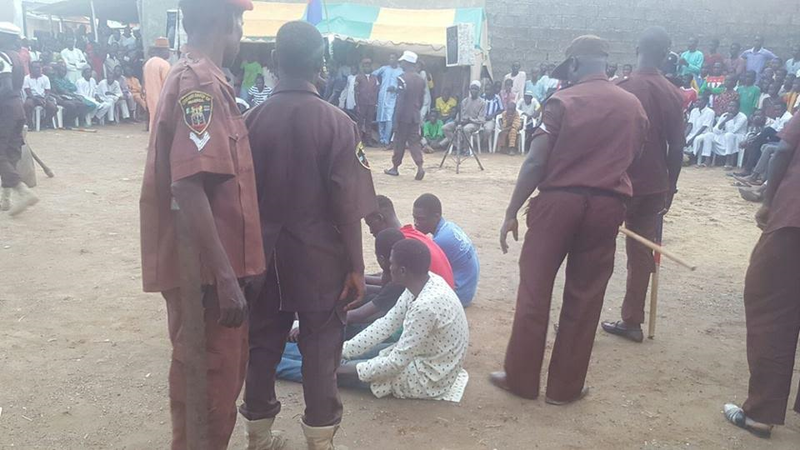 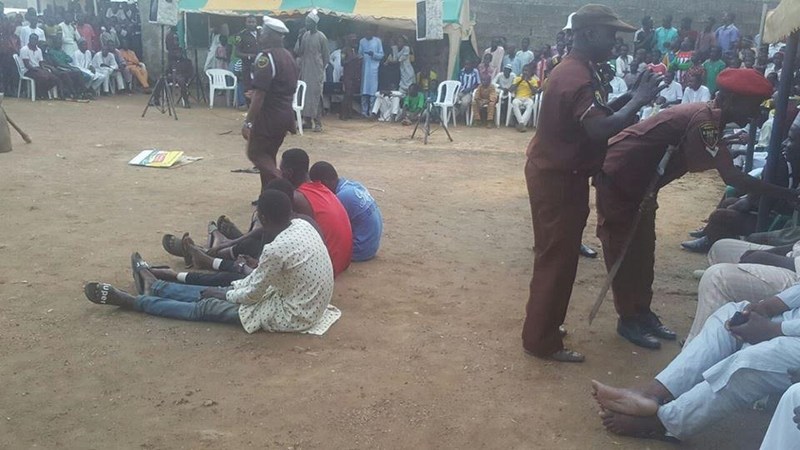 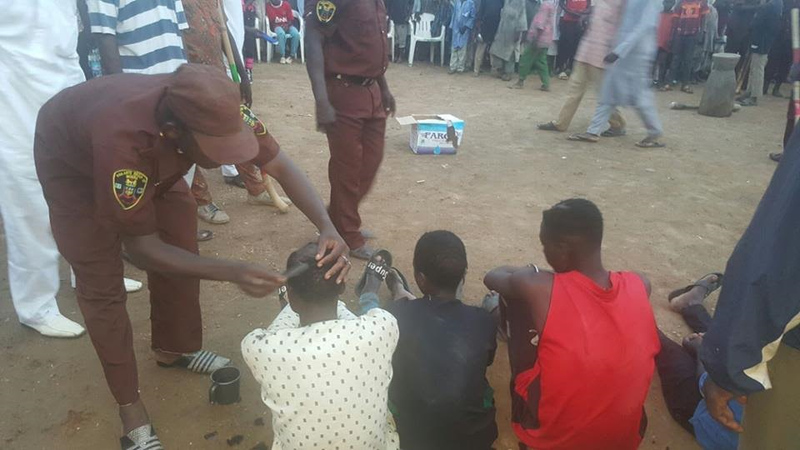 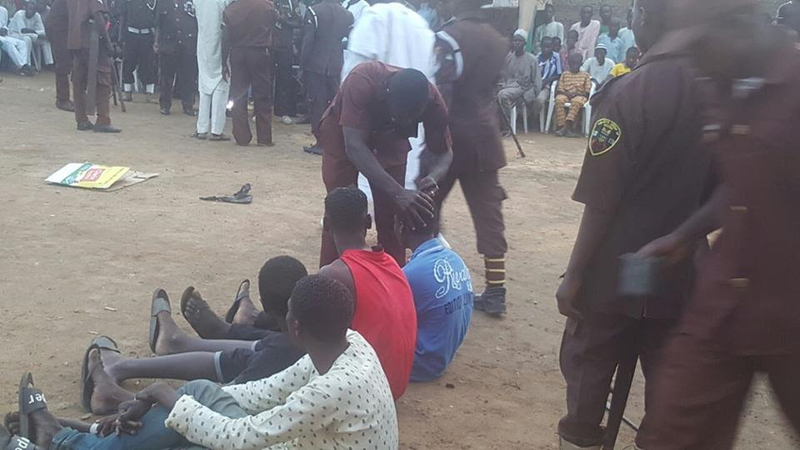 These suspected thieves were recently paraded before members of Bangan neighborhood in Kurnan Ungoggo Local Government Area of Kano State. The thieves are said to have terrorized the neighborhood for a while until they were recently apprehended. While been paraded, they had their hair shaved off before they were handed over to the police More photos after the cut.